The Joint Rescue Coordination Centre at Canberra (JRCC) has taken on responsibility for coordinating a rescue mission after Loïc Lepage dismasted some 600 miles SW of Perth Western Australia. JRCC issued an immediate MAYDAY relay to all shipping and at 20:30 UTC, a Challenger aircraft was despatched from Perth with a droppable pump onboard to assess the situation and photograph the disabled yacht. The plane arrived on scene at 23:09 UTC and raised communications with Lepage via VHF radio. Loïc advised that he was conducting repairs to his engine and did not require the pump or any other supplies to be dropped. He also stated that water ingress was at a rate of approximately 160 litres per hour but that the onboard pumps were keeping up. The aircraft reported that the mast did not appear to be attached to the vessel, and that no other significant external damage was visible. 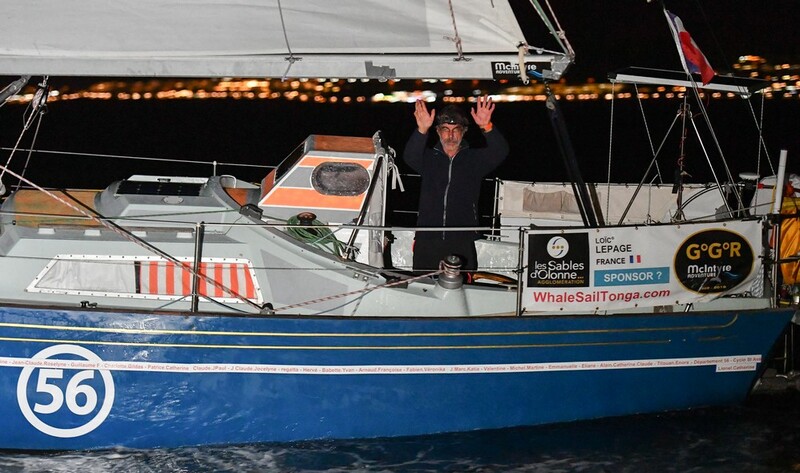 At 01:22 UTC Francis Tolan, the skipper of the S/V Alizes II, a Beneteau Ocean 43 participating in the Long Route solo circumnavigation, positioned some 300 miles NW of Laaland’s position, offered his assistance. Then at 03:14 UTC, the bulk carrier Shiosai, which had been heading west across the Great Australian Bight, also agreed to assist, and altered course towards the distress position. At 05:07 UTC, GGR Organisers spoke to Lepage via satphone, and Lepage has since repaired his engine and been advised to motor in a northerly direction to shorten the distance between him and the rescue vessels. JRCC intends to utilise the MV Shiosai and SV Alizes II as surface rescue assets and to keep Stoker on stand-by until Mon 22 Oct when a decision will be made based on a re-assessment of weather conditions and progress of Shiosai and Alizes II overnight. In addition, an RAAF P8 search and rescue plane will fly direct from Learmonth to the distress position with an ETA of 00:30 UTC Monday. Two other planes have also been tasked to provide air overwatch as required from now until the completion of the operation.